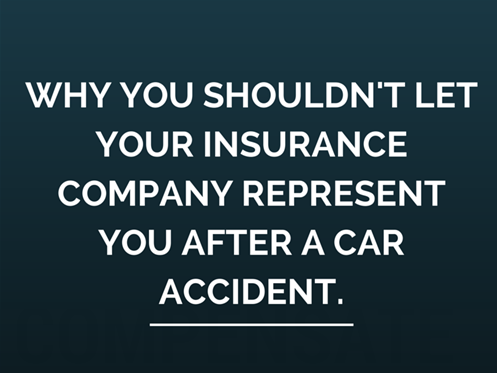 Why shouldn't I just let my insurance company represent me in my auto accident case? The question is: Do you trust your insurance company that much?? In my 22 years of experience, insurance companies have one interest: Themselves. So, while your insurance company representatives might be able to help, if push comes to shove, you can bet who they will protect first: Themselves. Are you comfortable with this? Wouldn't it be better to have your own personal advocate? An experienced lawyer in this area of the law?